Volume 4, Edition 23 Trouble loading? View this email online. This year’s celebration, themed Africana Studies 360: Black Synergy, will highlight the similarities that unite black people — while also focusing on what makes people distinct as individuals. 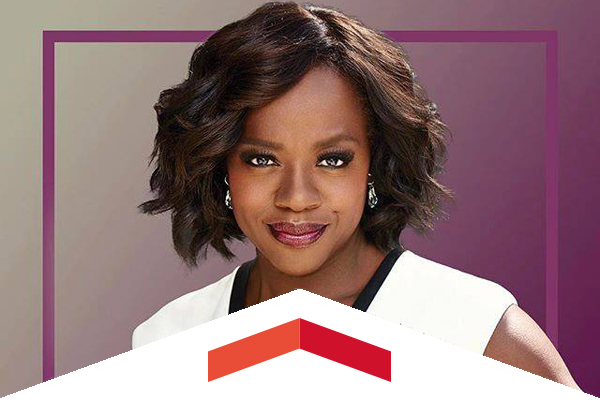 One of the highlights of the monthlong celebration is three-time Academy Award nominee for Best Actress Viola Davis delivering the Big Lecture on Feb. 8. 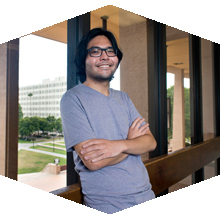 Tyler Pugeda, a double major in philosophy and mathematics who happens to be deaf, was recently awarded the prestigious President’s Scholarship due to his excellent work in the classroom. 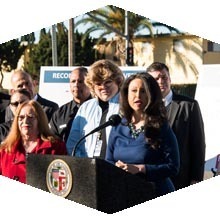 Alumna and Los Angeles Councilmember Nury Martinez held a press conference on Jan. 26 in Van Nuys to highlight recent successes working with CSUN professors Henrik Minassians and David Lopez, along with the Valley Bureau Human Trafficking Task Force, and shared future implementation plans to fight human trafficking in the area. CSUN Athletics has brought back the Matador Passport Series, when fans in attendance at Men’s and Women’s Basketball and Men’s Volleyball games in the Matadome during the four days can have their passports stamped at each contest in the series to win prizes that include CSUN parking passes, MataMoney cards, CSUN campus store gift cards and exclusive game-day experiences. Sat, Feb. 13, 8 a.m. The Black Youth Guidance Forum is a day-long program for CSUN students, professors and community members of all ages. This free event provides participants with a unique opportunity to engage in educationally purposeful activities, which include featured speakers, four instructional tracks and the Nonprofit Resource & Advocacy Fair. Thurs, Feb. 9, 8 p.m. Combining forces for the first time, the Manhattan Transfer and Take 6 will create an unforgettable night. Between them, the two groups have 20 Grammy Awards and a range of styles that cover nearly every genre of popular music; from jazz to swing, from gospel to R&B. CSUN Kinesiology students and faculty will be helping students, faculty, staff and community members reach their fitness goals this spring. Beginning on Feb. 6 and continuing until May 11, the program will take place Monday through Thursday. Orientation is on Feb. 2 at 5:30 p.m. The Marilyn Magaram Center and the Department of Nursing have teamed up to provide a four-week series of classes and cooking workshops to help you proactively take charge of your diabetes. National scholars Dr. Lemuel Watson and Bryan G. Nelson provide faculty and staff with hands-on strategies for the recruitment, retention and support of minority male teachers. This free event will take place at 8:30 a.m. in the USU, Altadena Room. Nominations are being accepted for the 2017 Faculty Awards honoring outstanding faculty achievement. Nominations must be received in the Faculty Senate Office by Feb. 17. Supporting materials must be received by March 17. Faculty awards include the Outstanding Faculty Award; the Distinguished Teaching, Counseling or Librarianship Award; the Scholarly Publication(s) Award; Creative Accomplishment(s) Award; Extraordinary Service Award; and the Visionary Service-Learning Award. The criteria and nomination form are on the Faculty Senate website. For more information please call x3263. Beginning on Feb. 4, the SRC will be offering students and faculty the chance to become certified in CPR, AED and first aid training. For $50 a person, attendees will learn how to recognize and respond to cardiac breathing and first aid emergencies. All certifications are valid for two years from the date of your course completion. A few time slots remain to meet one-on-one with a CalPERS representative on campus to assist you in planning for your retirement. Come hear the stories, challenges, and aspirations of a panel of students who bring their unique and diverse experiences to the CSUN Campus. Moderated by Debra Hammond, this session will leave you with a deeper understanding of our students, their needs, and how all members of the campus community can help support student success.